Ice storms can create a lot of problems for homeowners and residents. 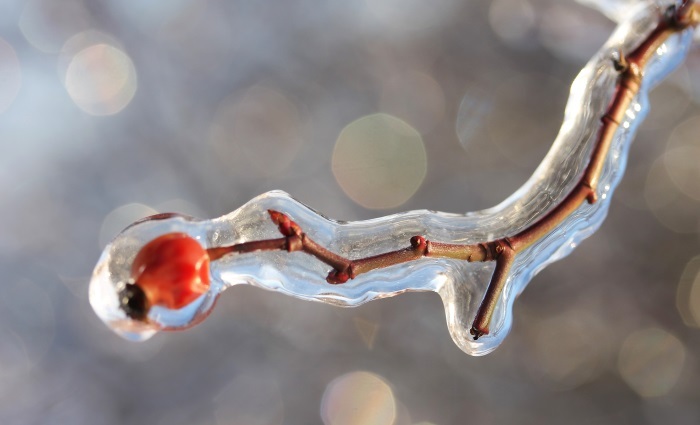 Here are some tips for helping your property recover following sleet, freezing rain, and ice! Ice storms bring with them unique problems that can result in serious damage to your home and property. Here’s how you can help your home recover when mother nature brings ice instead of snow! Accumulated ice on sidewalks and driveways can be extremely dangerous for occupants, visitors, and mail carriers. Following the storm, treat all pathways and driveways thoroughly to melt the ice as quickly as possible. As ice often accompanies very cold temperatures, salt may not be adequate (salt is ineffective in temperatures below 10 degrees Fahrenheit). As a result, you may need to use a product specifically formulated for colder temperatures. You can also apply salt or an ice melt product to sidewalks and driveways prior to the storm to reduce the accumulation of ice on these surfaces. It’s important to note however that you may still need to apply additional ice melt product following the storm. Ice accumulation on roofs can lead to a lot of problems. Be mindful of the amount of ice on your roof following an ice storm and whether or not your roof is able to handle this weight. As ice can be extremely heavy, it’s not uncommon for a previously sound roof or porch to weaken or even collapse under the additional weight. If the ice accumulation on your roof is concerning, contact a professional roofer to remove or melt the ice. Homeowners should never attempt to remove ice from their roofs themselves as it is incredibly dangerous and can result in serious injury or even damage to your roof. Ice Dams similarly are caused by ice accumulating at the edge of your roof, trapping water or snow melt behind it. As the ice dam prevents this water from running off the roof, it can back up under shingles and into your home. This can result in interior Water Damage and even Mold Growth, which will need to be properly addressed and dried by a professional mitigation and restoration firm. Learn more about ice dams. Accumulated ice on tree branches can pose a serious safety issue. Not only can the weight of accumulated ice bring down branches on you or your family, they can damage property and vehicles as well. For this reason, it is extremely important to survey trees from a safe distance. If you see any tree branches that are sagging or appear prone to falling, contact a tree service immediately so that they can trim the tree and remove the hazard. Tree trimming results in more serious injuries than nearly any other home project, so it cannot be stressed enough the importance of hiring a professional for this work. Tree trimming services also have the experience and knowledge to prune trees in such a way to encourage new growth and prevent disease or infestation (a risk whenever a tree is cut or pruned). If you don’t see any trees or branches at risk of coming down, all you can really do is wait for the ice to melt. Attempting to remove the ice can cause branches to crack or break, while they may not otherwise. Once all of the ice is melted off the trees, you can survey the area and clean up anything that may have fallen. As ice can bring down trees and power lines, power outages are unfortunately a common occurrence following an ice storm. Should you discover that you’re without power, notify your utility immediately. While they may already be aware of your outage, they may not. This allows them to get a repair on their schedule as quickly as possible. You can check power outages in your area here. • To avoid food spoilage, try to limit opening the fridge or freezer so that the food stays cold as long as possible. • In cases where you have electric heat and no available backup, turn off water and drain lines so that pipes will not be able to freeze and break. • Check on neighbors, particularly older neighbors, to make sure that they are alright. • In cold temperatures, consider going to an emergency facility or community center to warm up. We hope these tips help you weather the ice storm and prevent unnecessary additional damage and headaches! As always, should you ever have a need of Water Mitigation or Mold Remediation services, please don’t hesitate to Contact Our Offices!